Galloping Ghost Arcade, the largest video arcade in the United States, held its annual Kombat Kon event (formerly Shang Tsung’s Fight Night) in Illinois over the weekend. November 19 and 20 saw avid Mortal Kombat fans from around the globe gather to participate in the convention’s many attractions, including a cosplay competition, numerous classic tournaments and various exhibitions. Original actors Richard Divizio, Carlos Pesina, Katalin Zamiar, Ho-Sung Pak, Lia Montelongo, Sal Divita, Daniel Pesina, John Parrish, Phillip Ahn, Kerri Hoskins-Branson, Brian Glynn, John Turk and Tony Marquez were all in attendance, signing hundreds of autographs and posing for numerous photographs over the event’s two days. 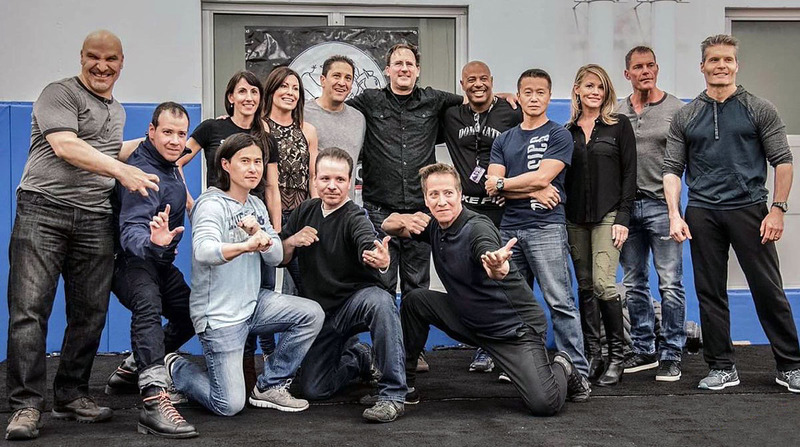 Veteran designer John Vogel was also on hand, along with series co-creator John Tobias and renowned announcer Steve “Shao Kahn” Ritchie, among others. 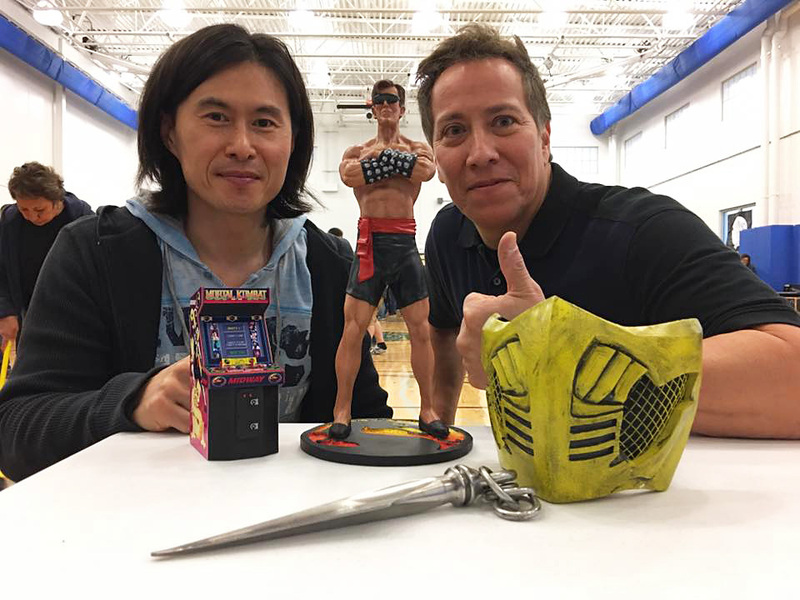 Among the memorabilia and nostalgia Daniel Pesina and Phillip Ahn debuted statues of their likenesses in Mortal Kombat and Mortal Kombat II respectively. While no announcements were made as to their possible commercial production, there was certainly enough interest during the event and subsequently across social media to make it a real possibility. 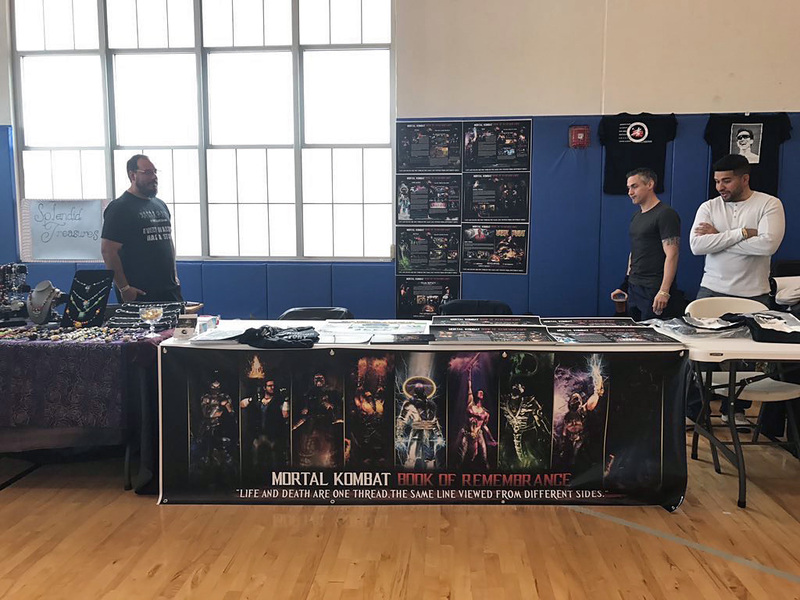 With close to 8000 supporters backing their petition for its creation, those behind the Mortal Kombat: Book of Remembrance project were on-hand to showcase their latest work. Displaying numerous pages to the public for the very first time, it is their continued hope that their persistence and passion will eventuate in the production of an official “Kombatpedia” — a sentiment hugely popular within the wider Mortal Kombat kommunity. No doubt their attendance at the convention will help spread word of the project and help improve their chances of making it a reality. While we were unable to attend this year’s Kombat Kon, it is our hope to make it in 2017. Special thanks goes out to the team at Galloping Ghost Arcade for making it happen each and every year! A big thank you goes out to John Tobias, Daniel Pesina and the team behind the Kombatpedia for supplying the photographs used in this article.